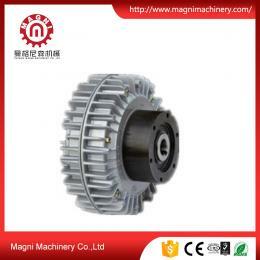 The magnetic powder clutch is composed of active rotor(input shaft), driven rotor(output shaft) and Yoke with excitation coil. The three parts are assembled relative concentric and form a system which can rotate relatively. 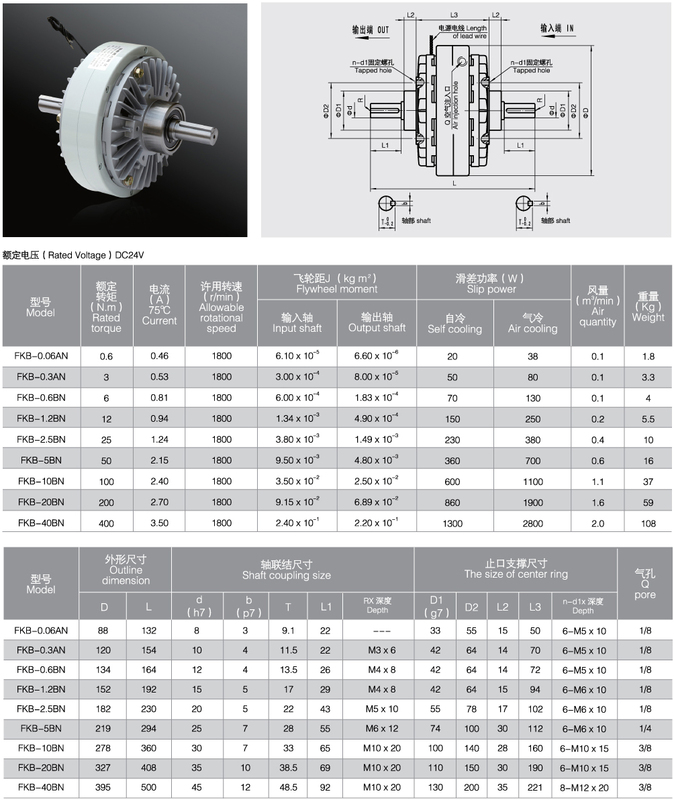 The annular gap between active rotor and driven rotor is full of alloy powder which has high magnetic conductivity. 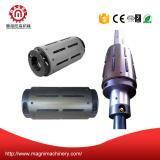 The magnetic powder will be in the state of loose when the current do not pass the excitation coil. 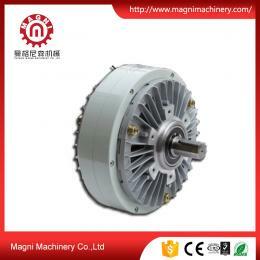 The magnetic powder will be thrown on the inner wall of active rotor. 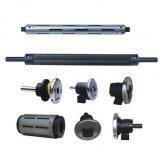 In this case, there will not exist the interaction force between the active and driven rotor. So the magnetic powder clutch is in the state of separation, no torque transmission exits. 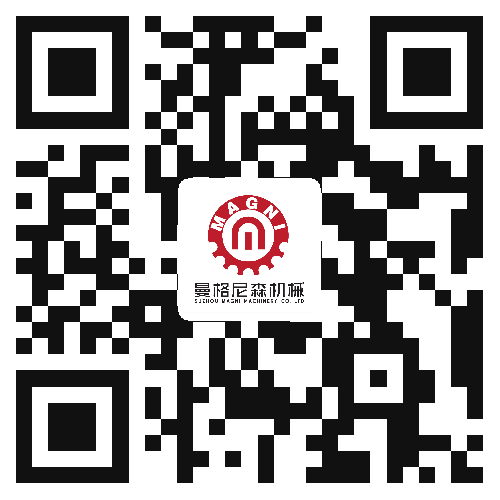 The magnetic powder in the working chamber will link in a link state under the action of magnetic flux generated from the Yoke when the current pass the excitation coil. The magnetic powder clutch can transfer torque relying on the shear force generated from magnetic chain and the friction generated from the magnetic powder and working face. In this case, the magnetic powder clutch is in the state of combination. 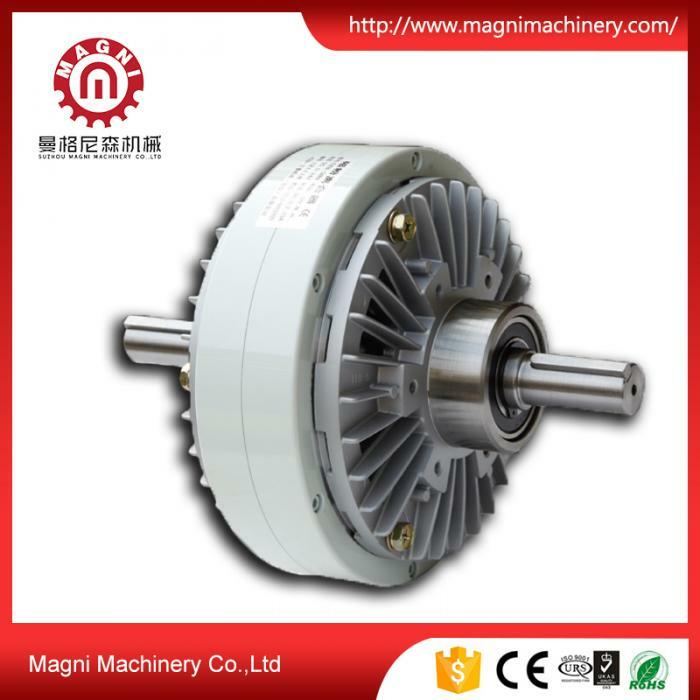 When the current is cut off, the magnetic flux will disappear with the disappearance of magnetic current,the magnetic powder will be in the state of loose under the action of gravity again, and will be thrown on the inner wall of active rotor under the action of the centrifugal force. 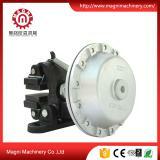 In this case, the magnetic powder clutch will be in the state of separation again. 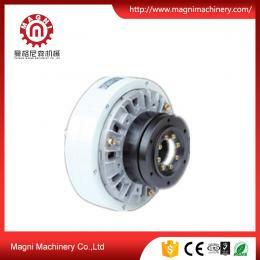 Due to the features of the magnetic powder clutch and brake, they have been widely used in paper making, printing, plastic items, rubber industry, textile industry, printing and dyeing,wire and cable, metallurgy industry and tension control of winding and winding in roll material processing industry. 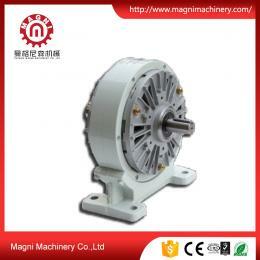 Moreover, the magnetic powder clutch can be also used in buffering start, overload protection, speed adjustment. 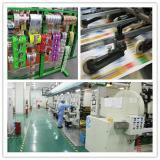 Magnetic powder brake can also be used in test loading and braking of the transmission machinery.